Monsters University held on strong to first place this weekend at the box office ($46.2 million). 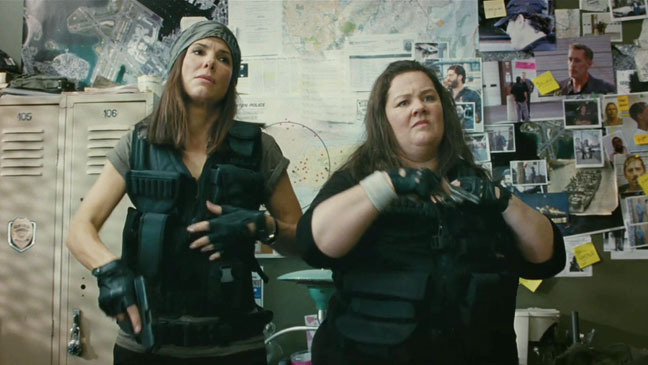 The Sandra Bullock and Melissa McCarthy comedy The Heat, debuted in a strong second place with about $40 million. It was not all cheers as the heavily marketed White House Down, could only muster up $25.7 million for a fourth place finish, which is less than the $30.8 million that the Gerard Butler presidential-actioner Olympus Has Fallen made earlier this year. And yes, that's also less than what After Earth did a few weeks ago ($27.5 million). And... White House Down reportedly cost a $20 million more ($150 million) to make. The upside, if there is any, is that White House Down does have better reviews than After Earth.